What does accountability mean? It basically means that you hold yourself responsible for the actions that you take. As a business leader, you also must make sure that your employees are accountable for their actions. Think about what would happen if no one within your organization was held to a certain standard of performance. It would lead to a lot of dysfunctional behavior. Unfortunately, a lot of organizations are operating without accountability, and they are slowly dying as a result. When accountability is part of your organization’s framework, it helps to ensure that everyone is following the same game plan. Its presence means that each individual on your team is held to the same standard of performance no matter their position. This is very important because it means that no one is able to shy away from performing at their best level. Therefore, as the leader, you must establish a culture where both individual and team accountability are always upheld. You cannot feel bad about setting such high standards either. At the end of the day, you are responsible for the direction your company goes. This means that you must tell the truth about each team member’s performance, so you can lead them towards better results. It also means being honest about your own individual performance, so you can improve as a leader as well. The key to making accountability a foundation of your organization is defining what it means from the very beginning. You cannot just decide to practice accountability after years of tolerating undisciplined behaviours. Your employees will be resistant to new changes because it stifles the freedoms they once enjoyed. This is why from day one you must communicate your standards for accountability and why it is important. Anyone who does not want to follow the standards you have put into place must go, no questions asked. Everyone must operate with the same mindset for accountability to work. If individuals on the team are operating on their own accord, it leads to dysfunction happening once their actions conflict with those of the rest of your team. You cannot allow this to happen under any circumstance. This is why you must be very specific about what accountability means when it comes to your organization, so no one can say they were unaware of what was asked of them. 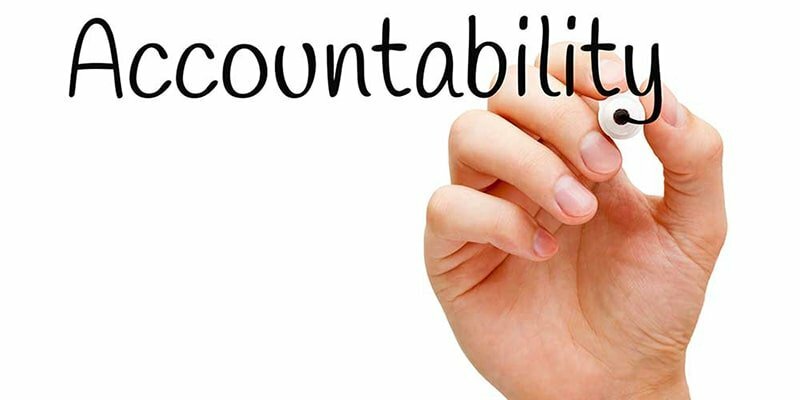 You must ask yourself a few questions about accountability when you are seeking to implement it within your organization: How do I define accountability, and what does it mean to this team? What methods will I implement to hold my team accountable, and what actions will not be tolerated? Where does the boundary lie between accountability and blame? You must have this conversation as a team as well so that each individual has a clear understanding of what is being asked of them, and how their participation leads to better cohesion and results. Also, you should be upfront about accountability as this helps strengthen relationships. When everything is laid out on the table, there are no secrets in place that could lead to potential hostility. Therefore, an individual cannot be mad when they are called out for their poor performance because they already know what is expected from them. Accountability helps to diffuse any tension since it has already been talked about. Remember, each person’s individual performance leads to a strong or weak team performance. As such, it is important to set the tone from the beginning. You want to be sure that you continually communicate to your team why accountability is important to the organization as a whole. You want this mindset to be constantly repeated because it helps to ingrain the importance of why it is needed. 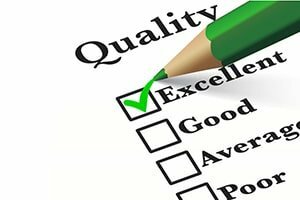 It is about ensuring that every individual on your team performs with their very best effort every single time, so there are no shortcomings with their overall performance. This is because one person missing their assignment can lead to the team failing as a result. Make sure that this fact is known so that everyone on your team holds themselves to the highest standard. This is how you produce great results as an organization. One way to help facilitate this process is to ask questions that focus on finding solutions. This tactic is called forward-focused questions. Alternatively, if you ask questions that magnify problems, these will lead to emotional responses (backwards-focused questions). To put simply, a backwards-focused question tends to focus on the problem, which makes people feel like they are being attacked. On the other hand, forward-focused questions seek to learn from past mistakes so that better results are produced in the future. Backwards-focused questions can come off as accusations, while forward-focused questions are geared towards exploring how things can be improved for future performances. Let your team know that any question you ask is to make the team better as a whole, so the organization can continue to grow towards being a market leader within its industry. You have to do more than talk about accountability. 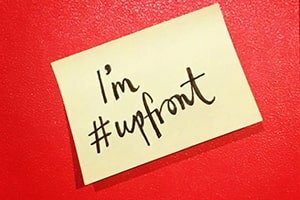 You need to make sure that your team sees what it means, which means writing all relevant points on your whiteboard during meetings. 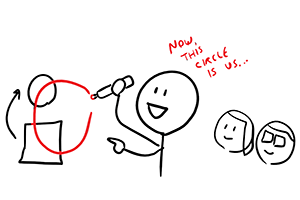 Make sure that as soon as people enter the meeting room, you point out what the meeting is about. This keeps the conversation focused on the topic at hand, so no irrelevant conversations arise. This helps ensure that you keep everyone accountable for the information that is being discussed. 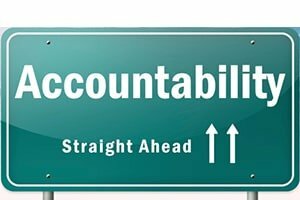 Accountability can help your organization improve significantly if it is actually upheld. It helps to ensure that each individual on your team is focused on the same goal, so everyone’s actions are aligned with one another. And as with most things, its effectiveness comes down to how well the focal point is communicated. Accountable company incorporation services you can trust. Let Asiabiz’s professionals help you with registering a company in Singapore quickly and efficiently.